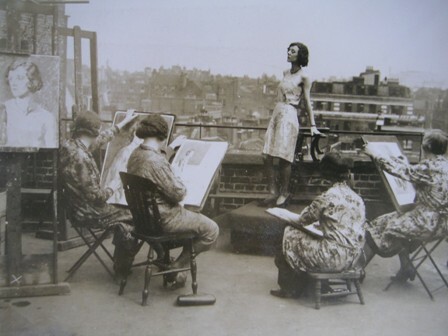 The Heatherley School of Fine Art was named after Thomas Heatherley, the second of six Proprietor-Principals. Founded in 1845 by James Matthew Leigh, the school is affectionately known as Heatherley’s. Henry Moore, Burne Jones,Dante Gabriel Rossetti, Sir John Everett Millais, E.H Shepard, Evelyn Waugh, Franz Kline, Lord Leighton, Russell Flint, Solomon Joseph Solomon, Michael Ayrton, Ian Macnab, Kate Greenaway, Walter Sickert and Sir Alfred Gilbert are numbered amongst its former students as was the first Principal of the Slade School of Art, Sir Edward Poynter and the first Principal of the Royal College of Art, Walter Crane.